Are you looking for a solution to your nutrition? Do you want to really take your fitness to the next level? Shakeology is what you've been looking for. With over 70 natural ingredients per serving, it is the equivalent of 40 servings of fruits & vegetables in every glass. This is not a protein shake. It's a high performance, meal replacement (or if you are super active, healthy snack) which is packed with vitamins, nutrients & probiotics. 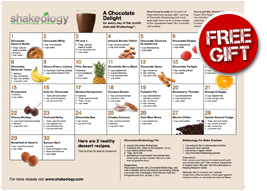 With 2 great tasting flavors, Chocolate & Greenberry, Shakeology delivers the goods. It's delicious, creamy and contains all the daily vitamins and nutrients your body needs to stay energized , improve your digestion and reduce bloating. When you commit to a healthy lifestyle and fitness program, Shakeology is a perfect complement. It will really make your journey simple by providing you with what you need to stay consistent and push thru the workouts. By blending it with fruits and vegetables, it can be easily changed daily to create variety. If you are trying to watch your calories, you will be pleased to know that it is perfect just blended with water and ice and at 140 filling calories, will really leave you satisfied. This high performance shake is not only healthy, but each and every ingredient you'll find in Shakeology is specifically sourced, harvested and included for a reason. Many people find that they save money when they are consistently drinking one Shakeology a day, by eliminating the need of having to take other supplements. Why Should I Use Shakeology? If you worry about supplements and products that leave you with a thumping heart or elevated pulse, look no further. Shakeology will not do this. Given all the ingredients are natural and of the highest quality, you will not find yourself feeling restless or uncomfortable but rather full of natural energy and stamina. In addition, because you are feeding your body such great things, you will not only see an improvement in digestion and metabolism , over a short time, you may also notice improved complexion, shinier hair and clear skin. These 'side effects' are all due to the fueling of your body with the highest quality ingredients and improving your overall system and performance. Try Shakeology and see the improvements yourself. If you don't love the flavors, or feel great, we offer a 30 day Bottom of the Bag guarantee where you can return your empty box or bag for a full refund (minus S&H). What better way to get results than to try it yourself? Invest in your health, invest in your well-being, be proactive and start drinking this incredible shake today! Not Ready for Shakeology Yet? Try It Before You Commit! Lose Up To 6 lbs in 3 Days! To receive free shipping with your monthly order, you must purchase a home direct item. In doing so, you agree with the monthly shipment or services in subsequent months without notice to you. Free shipping utilizes FedExBasic ship which takes about 3-5 days for the package to be delivered to your shipping address. This service is only available in the continental US and requires a commitment to 2 monthly home direct order shipments. We are able to offer this thru Team Beachbody's Home direct auto ship program where you purchase a product and opt to have it sent directly to you monthly (every 30, 60 or 90 days depending on the date of purchase). By ordering on home direct you agree with these periodic shipments and the terms and conditions stipulated. 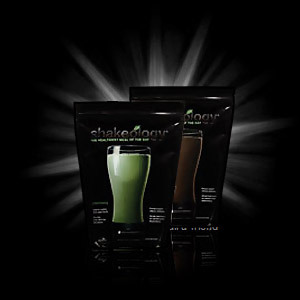 To Enroll in the Shakeology Home Direct Program Click HERE! WARNING: Consult with a health care professional if pregnant, breast feeding, providing to a child or if you have any other unique or special needs. Keep out of the reach of children. * These statements have not been evaluated by the Food and Drug Administration. Not intended to diagnose, treat, cure or prevent any disease. 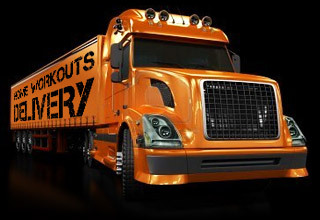 Free monthly shipping uses UPS Basic ship method (3-5 Days with the package being delivered at you address). It's available only in the continental U.S. Free monthly shipping offer on Home Direct for Shakeology requires a minimum commitment of 2 shipments on monthly Home Direct. We offer free shipping and home direct through Team Beachbody's Home Direct program by which you may purchase a product and choose to have that product sent directly to you on a periodic basis (every 30, 60 or 90 days depending upon the item purchased). These future shipments and services will be charged to the same credit card that was used for your initial purchase of the item(s). By purchasing a Home Direct item, you agree to the periodic shipment of product or provision of services in future periods without further notification to you. To ensure the continued delivery of your Home Direct products, you must ensure that your shipping and billing information is up to date. To update your shipping or billing information or to discontinue your Home Direct program please contact our Customer Service Department by visiting this link.